Momo just released a new illustrated collection of Pug Jokes!The pug joke book including over 30 of her favorite pug jokes! Move over Rover, pugs are taking over! Pug Jokes is a hilarious collection of more than 30 jokes and over 80 beautifully illustrated color pages, for and about pugs! Readers will have a blast with this collection of clean jokes, one liners, fart humor, and puns that you’ll just have to share with friends and family. This is the perfect gift for pug lovers, dog enthusiasts, and anyone up for canine humor at its very best. Your search for the best book of pug jokes is over! This book is guaranteed to have you, and your pug rolling on the floor begging for more. So TREAT yourself to this side-splitting experience! A cute puppy claims she was the victim of constant harassment at the hands of a toy that resembled some sort of mouse-monkey. The pug puppy is speaking out, describing the relentless torment she was forced to deal with on an daily basis. And its not just her word against the blue eyed mouse-monkeys. Our reporter obtained footage of the taunting toy, and for the first time the puppy has agreed to go public with the footage. 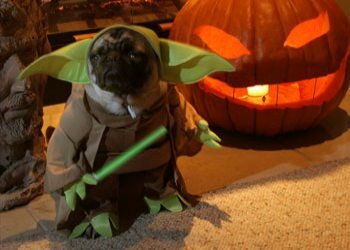 Best pug jokes I could find and some I just made up! Q: What happened when the pug went to the flea circus? Q:Why do pugs hate the rain? 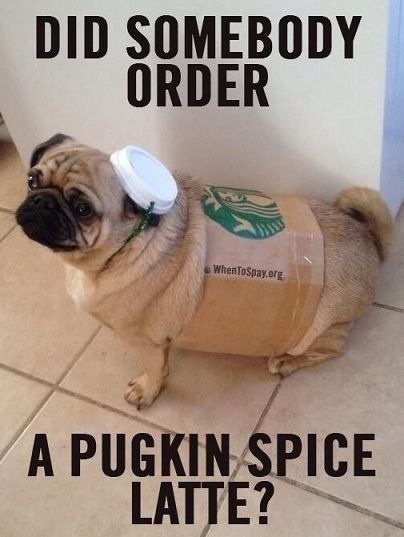 Q:What did the pug say to the garden? Q: What does my pug and my phone have in common? Q: What do you call a cold pug? Q: What happened when the pug swallowed a firefly? Q: Why dont pugs bark at their feet? Q: Whats a pugs favorite comedian? A three legged pug walks into a bar. He says, "Im lookin for the man who shot my paw!" Q: What happened when the cat won the Pug beauty contest? Q: Why did the pug cross the road? It was wrong on so many levels! Q: Whats large grey and makes no difference to pugs? A: Never mind, it's irrelliphant! Did you hear the pug pizza joke? Never mind, it's too cheesy! 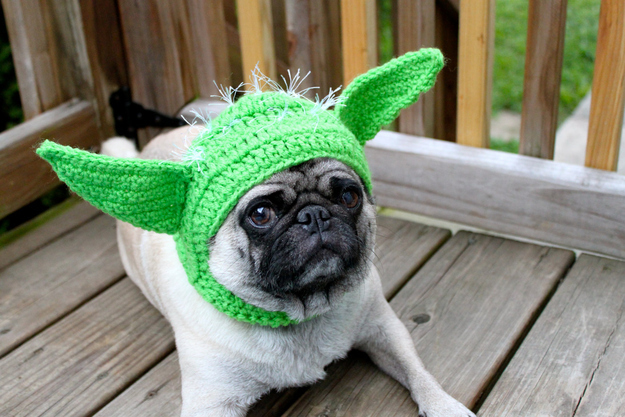 A pug owner comes home from the international market and says "hey boy! you want a Brazilian treat?" 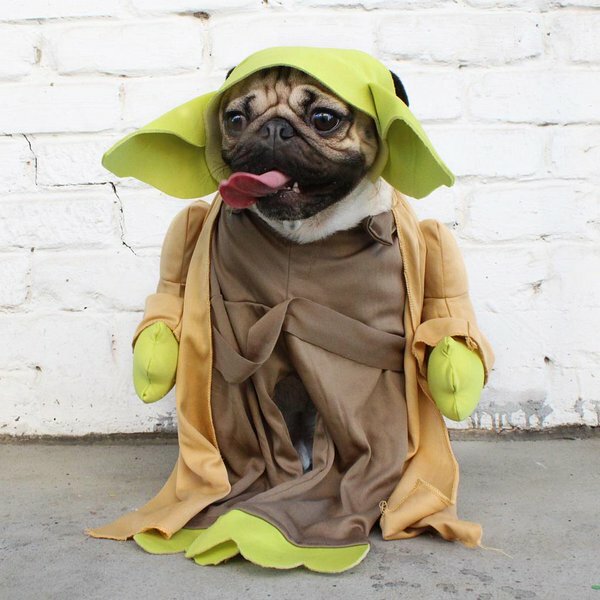 The pug replies "Oh Gosh! Im so lucky! How many is a Brazilion?!?" 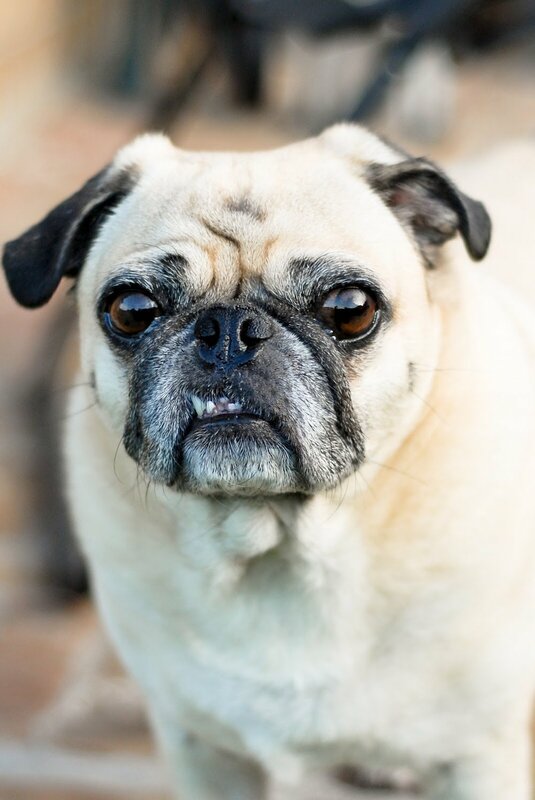 Q: Why do Pug Vampires believe everything you tell them? Q: Why dont pugs write with dull pencils? A: Because there's no point! 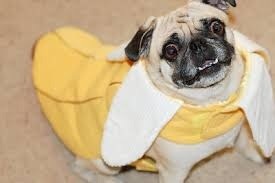 Q: What do pugs call empty jars of cheese whiz? Q: Who's bigger: Mr. Bigger the Pug, or Mr. Bigger's baby? A: The baby, cause she's a little bigger! I took my pug to the vet. She said "He's a little over weight"
I said I wanted a second opinion. She replied "He's also pretty cute"
Q: Whats a pugs favorite musical instrument? My pug is in shape unfortunately its the wrong one! 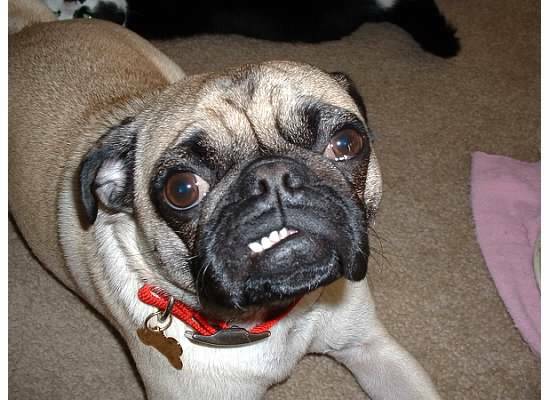 Q: Did you hear about the pug who invented the knock knock joke? At a dinner party a pug farts. The king charles turns to him and says "How dare you fart in front of me!" 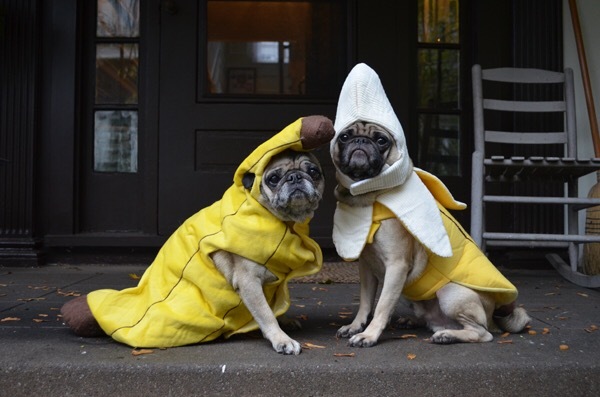 The pug replies "Im sorry, I didnt realize it was your turn!" Why did the pug roll toilet paper down the hill? 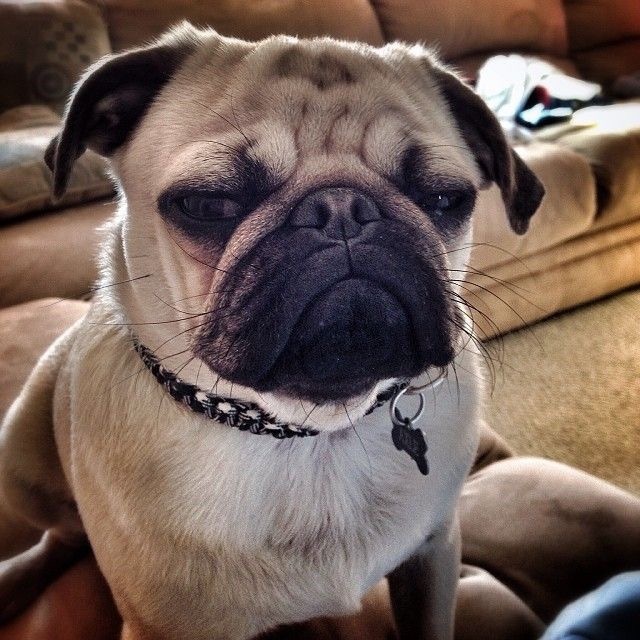 Q: Why do pug farts smell? Two pugs are sittin on opposite sides of a lake. One pug yells "HEY! How do I get to the other side of the lake?!" The second pug yells back "You ARE on the other side!" A pug breeder has 196 pugs in his back yard. But when he rounded them up, he had 200! Buy the official Pug Joke Book! 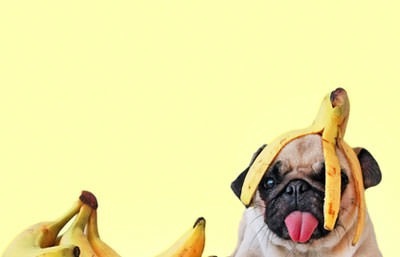 DO YOU LOVE PUG JOKES? 10 BEST PUG GIFTS FOR 2017!